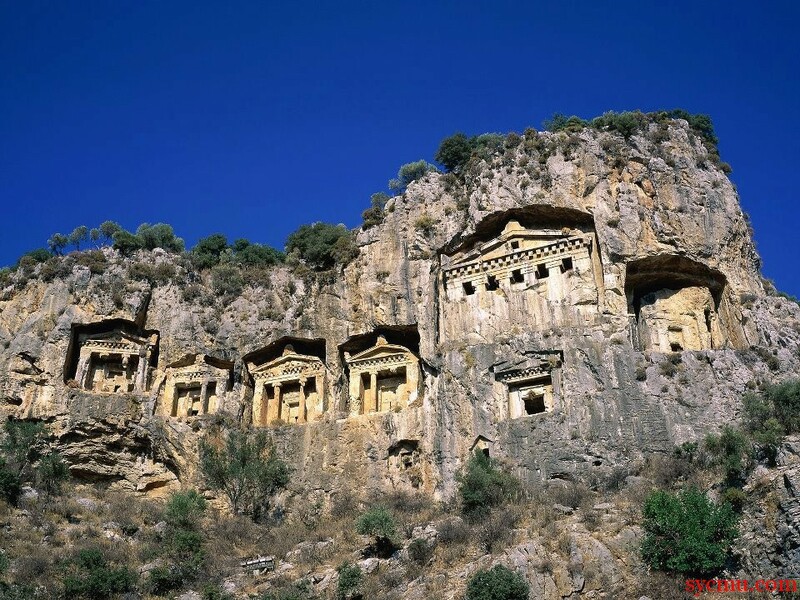 Lycian tombs, or Rock tombs are located in Lycia, Turkey. Unlike most other cultures who hid their dead, Lycian tombs are often located in the center of urban landscape, in rocks (As seen in the picture below), or on the coastline. They made tombs of limestone, and treated it like an art form, hence these beautiful structures surviving today.